Aer Lingus sale: Non-stop flights from Ireland to North America from €282! Cheap flights Vienna to Puerto Rico, US Virgin Islands, Mexico City, USA or Canada from €308 return! Cheap return flights from Switzerland to New York, USA from €187! Aer Lingus, the national flag carrier of Ireland now fully owned by IAG Group (British Airways family), has released their latest sale for summer season2018. You can now book discounted non-stop flights from Dublin or Shannon to various destinations in North America. Look for direct route to New York, Boston, Hartford, Washington, Toronto, Los Angeles, San Francisco, Seattle and more.. However there is no checked bag included in base fare. Non-stop return flights are now available already for €282. (And to Seattle already for €354!). Note that there is only hand luggage and complimentary meal included in base fare. Even if you switch to “Smart” fare it is still very interesting option. (Especiall to U.S. West Coast). 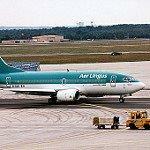 If interested in this Aer LIngus sale from Ireland to North America you have to look for flights from 8th of January to 22nd of March 2019. You will find the cheapest flights mainly in January and February. Blackout period around Christmas Holidays. Aer Lingus promotion is available till 28th of November 2018. Booking sample of greatly discounted offers during latest Aer Lingus sale: Non-stop flights from Ireland to North America from €282! In this case you would deaprt from Shannon to New York on 13th of January. Your return flight from USA to Europe would be one week later, on 20th of January 2019.